瞬-MATATAKI-: Obito's mini birthday project at ZENNIN2 and stock information. 1/24 全忍 2, 안소 주최 협찬 합동 서클 (선샤인 돌스 & KKSCRAP)에서 오비토의 등신대 포스터 전시 및 생일 메시지 모집 쁘띠 기획합니다. 내용은 본가의 생일 기획과 거의 같은 (생일 메시지의 모집 및 전시 & 참가자 특전 전체 사전). 멀리있는 분들도 참여하실 수 있도록 온라인 모집 및 특전 배포도 할 예정입니다. 자세한 사이트는 1 월 17 일경 별도 안내 예정. 지금 판매는 전 매장 품절 중입니다. 이용해 주셔서 감사합니다. ◯ 전연령 판 ... 1/24 全忍 2에서 판매합니다. 이벤트에서 배포 종료 한 경우, 통신 판매 재개하지 않을 가능성이 높습니다. 입장 가능한 분들은 꼭 이벤트에서 구입하세요. 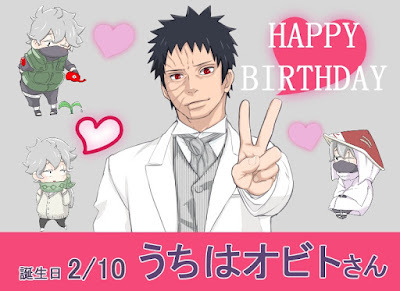 We are planed to collect message for the project of Obito's birth day at 24 January event ZENNIN2. This project is... We will display The Obito's poster as large as life. You send a message to Obito , after you will get some special gifts. For living far area OBKK fans(If you can't come Tokyo), We are planed online version too. 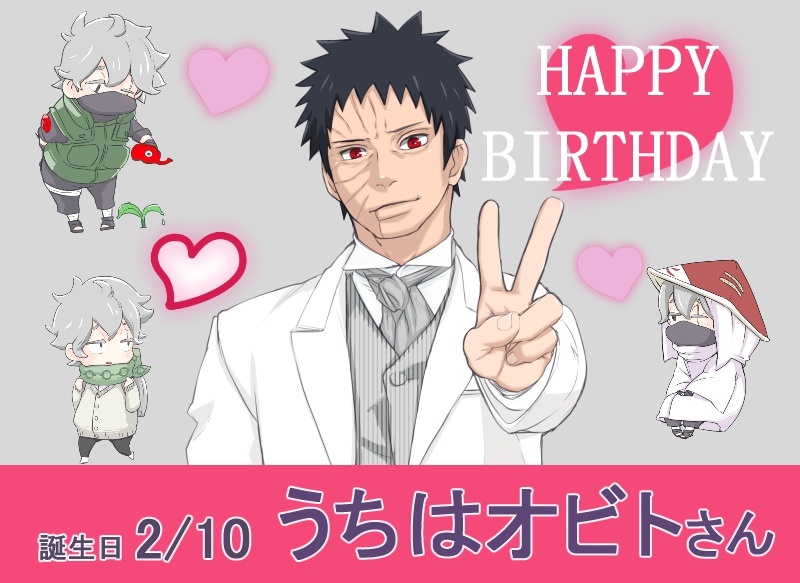 Obito's Birthday message project Web site will Open in 1/17. Sipping.....sold out at all stores now. Thank you. ◯[MATATAKI]... We sell it at 24 January ZEN-NIN2. If it will sell out That will Not restock for sipping.